The goal of this project was to condense lengthy, detailed triathlon training schedules into a more visually pleasing and user-friendly format. 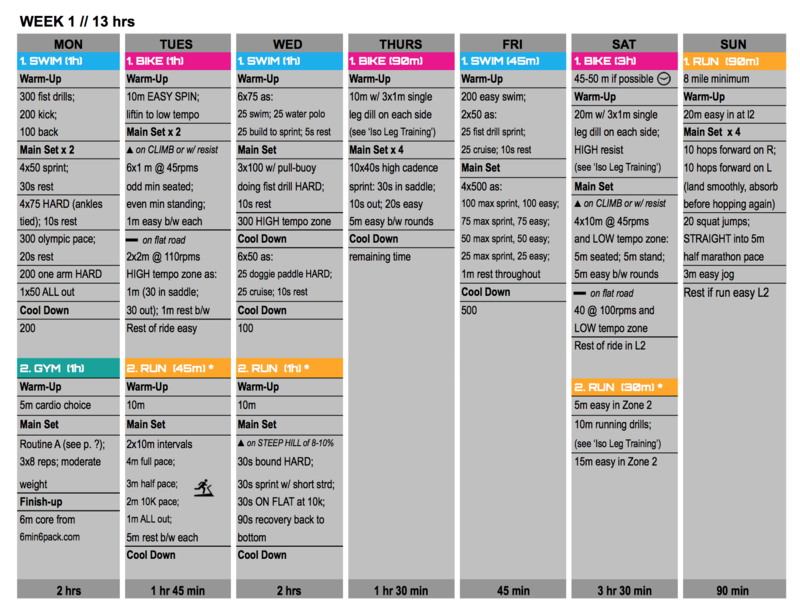 Athletes often want a quick overview of what they will be doing for the week. This is even more important when juggling three different sports. The Week 1 chart shown below provides this in an easy-to-read graphic that depicts volume, variety, and detail, all in one a glance. You can even print and cut out the strips for each day to help you remember all of the sets when you’re on the run.